As a seasoned advocate and DPC practitioner, Dr. Brian Forrest knows all to well the problems that misinformation can create for a movement built almost entirely on word of mouth. 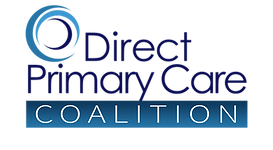 In the second installment of our ongoing series, Dr. Forrest provides a healthy dose of reality and debunks the nine most dangerous myths about DPC. Reblogged this on ENCOMPASS HEALTH DIRECT.